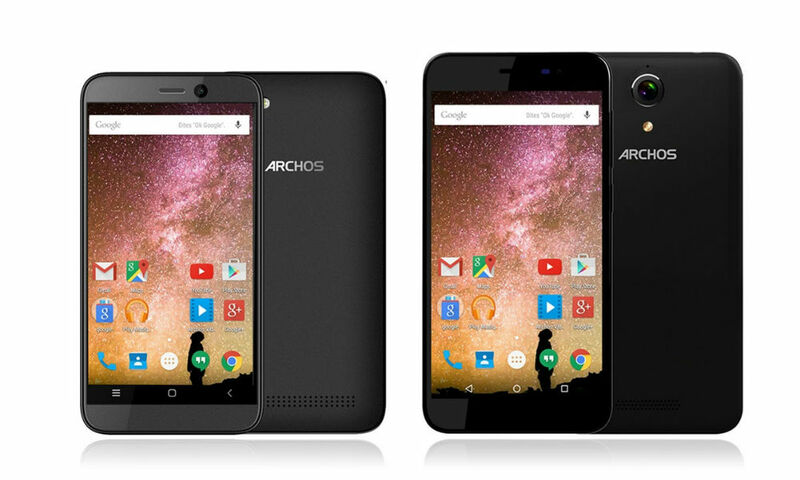 Archos announced four new devices this week, two in a “Cobalt” lineup and two in a “Power” lineup. The whole lineup is set to be quite affordable, while still offering decent specifications for everyday usage. Each device will launch with Android 5.1 “Lollipop,” as well as microSD support. 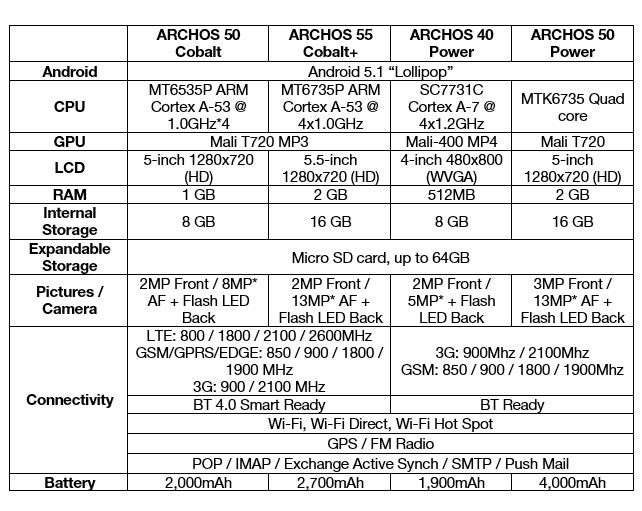 The Archos Cobalt 50 features a 5″ HD display, 1GB of RAM, MT6535P ARM processor, and 8MP rear-facing camera. Even though those specs likely won’t blow you away, the $99 price tag may have a few folks picking it up. Next in the Cobalt line is the Archos 55. It features a 5.5″ HD display, 2GB of RAM, 16GB of storage, 13MP rear-facing camera, and 2,700mAh battery. It is priced at $139. Both Cobalt devices are set to launch in April. The 40 Power features a 4″ WVGA display, SC7731C processor, 512MB of RAM, 5MP rear-facing camera, and 1,900mAh battery. Priced at just $49, the 40 Power launches in May. Last up is the 50 Power, featuring a MTK6735 quad-core processor, 2GB of RAM, 4,000mAh battery, and 4G LTE Connectivity. The 50 Power launches in May, priced at $119. Check the full spec sheet and press release below. For more information about ARCHOS’ entire selection of Connected Devices, Smartphones and Tablets, visit us atwww.archos.com or contact us through Facebook or Twitter.